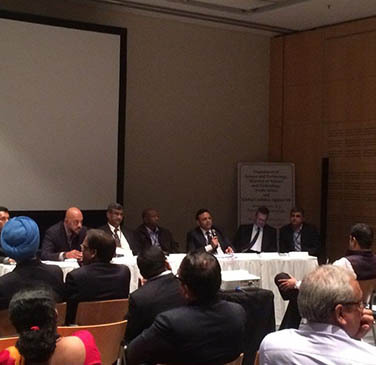 The 46th Union World Conference on Lung Health was held in Cape Town, South Africa from December 2-6, 2015. The theme of the conference was "Lung Health Beyond 2015", which reflects the changing landscape of global public health and the new era of action that we will embark on, together as the Millennium Development Goals end and focus shifts to the new Sustainable Development Goals. GCAT and the Department of Science and Technology (DST), South Africa, co-hosted a side-meeting on the ‘Role of Information Communication Technology to reach and ensure TB treatment adherence for the Missing Million’. 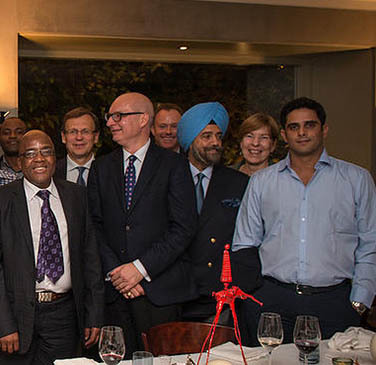 The meeting aimed to bring together the scientific community and policy makers from India and South Africa to discuss and exchange ideas on the role played by ICT in TB control in the two countries. National Forum on TB organised a side meeting on Information and Communication Technology (ICT) at the Union conference. The meeting aimed to bring together a group of ICT and health experts from across the globe to discuss the role of ICT in healthcare in India, with a focus on TB treatment adherence. The meeting was attended by the former Union Health Minister of India – Dr. Harsh Vardhan along with experts and members of parliament. The Global TB Caucus, founded in October 2014 at the 45th Union Conference in Barcelona, is an international initiative that seeks to engage lawmakers from around the world in a dialogue on TB prevention and control. India, however, was the only Asian signatory to the Barcelona Declaration at the inaugural summit of the Global TB Caucus. 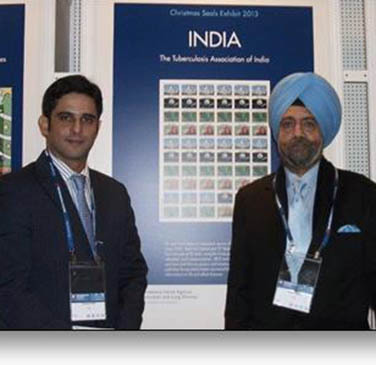 Indian Members of Parliament attended the Union Conference to meet with experts, activists and program managers to better understand challenges of TB control in India, innovative global best practices in diagnosis, treatment and private sector engagement. The 43rd Union World Conference on Lung Health was organised in Kuala Lampur in 2012 was an enriching forum for delegates from more than 120 countries, who gather to discuss, debate and network with colleagues; strengthen anew their commitment to global health; and find health solutions for the poor and underserved. The conference theme was "Driving sustainability through mutual responsibility" which reflects the need for innovative financing and quality assurance mechanisms to ensure a sustainable response to today's health challenges. Conference sessions emphasized that, responsibility for achieving the common goals is shared not only by all those involved in health care and research, but also by donors, governments, policy-makers, civil society and affected communities.